As PR professionals we know that most senior management teams are stretched to do the essentials and sometimes it’s hard to find the time to promote the good news stories. This is where we usually step in and help companies to celebrate their successes and ‘tell’ their story. We often recommend that our clients enter awards to highlight their achievements and also the achievements of their staff. Awards can really benefit your business, regardless of whether or not you eventually win. The PR opportunities that come with making an awards shortlist, or a win, mean your business will be in the spotlight and stand out against your competitors for all the right reasons. The awards process can often take months until it reaches the final celebratory evening. If you’re shortlisted for an award you can share this news across your social channels and will often get regular mentions from the awards organisers as well. This enables you to take full advantage of this exposure, not only to promote your business to potential new customers but it also reinforces your credibility to your exists clients. 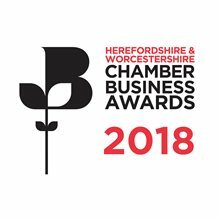 A business or sector award win, shortlisting or even a nomination provides your organisation with a third party endorsement for your business. Ultimately, it helps to position you as an expert in your field and can even differentiate you from your competitors. Awards also help to provide a morale boost internally as well. Being nominated or shortlisted for an award recognises achievement and talent. It really is a great way to acknowledge and celebrate great work. An award win can help to position you as an employer of choice as well. Who wouldn’t want to join an award-winning company? We’ve been lucky enough to work with many clients over recent months and years to identify award opportunities for them and help them in putting winning entries together. Feedback from our award-winning clients reinforces that although entering awards can be time consuming, the impact they can have on an organisation can be significant, ultimately supporting business growth and their overall direction of travel. And just to prove that we practice what we preach, we have been shortlisted for the 'Best Marketing, Advertising, PR or Digital Specialist’ category at the 2018 Care Home Awards! Newer PostCorporate Social Responsibility... is it not just a massive PR stunt? Older PostWhy does my healthcare business need a video?